Did you know that of the motorcycle accidents in 2016 reported by Massachusetts media, almost half can be easily attributed to rider error? 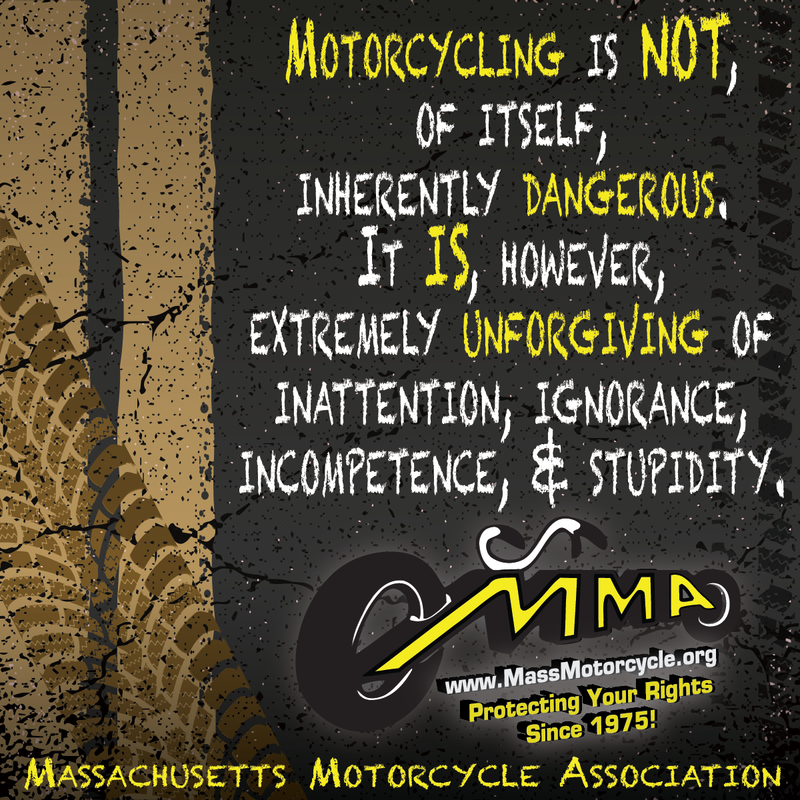 Your Massachusetts Motorcycle Association is a strong proponent of advanced motorcycle education. Seek out Experienced, Advanced, or other education through approved Massachusetts Rider Education schools, especially our Gold Card Sponsors, http://massmotorcycleschool.com, and http://www.trainingwheelsonline.com.